Stop using plastic water bottles and start taking your own water in a fun Doctor Who water bottle. 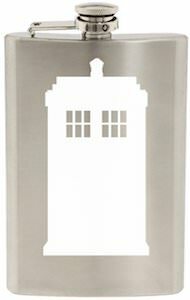 This Doctor Who bottles is made from stainless steel and is BPA free and holds up to 750ml of water. And as you can see the bottle has a scarf on it to make it look like the 4th Doctor. 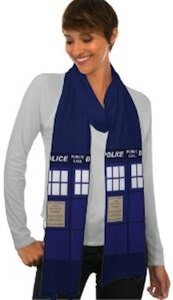 Besides the scarf the bottle has a chrome look making the scarf from the Doctor stand out nicely. You can’t put this bottle in microwave or dishwasher but besides that you can take the 4th Doctor water bottle almost anywhere.